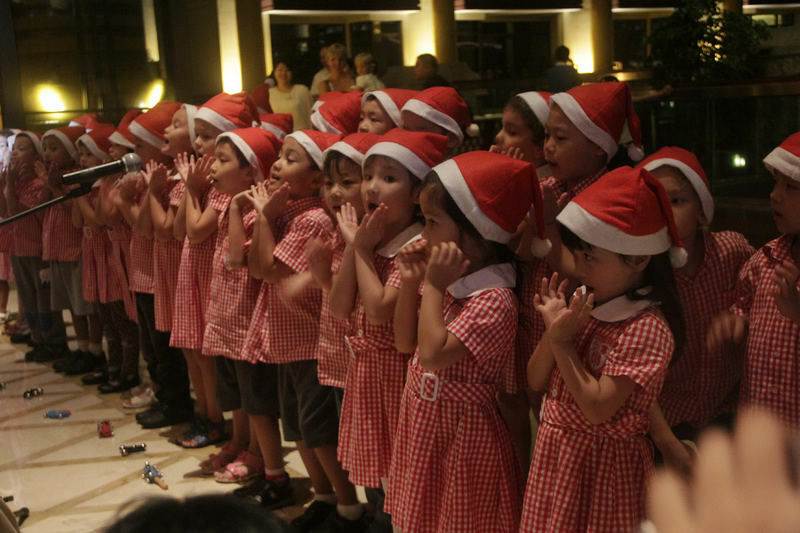 The St. Regis Sanya held its first annual Christmas Tree Lighting Ceremony on 7th December, 2012. The Christmas Tree Lighting Ceremony is a special way for The St. Regis Sanya to welcome the Christmas holiday season. On the day, hotel management invited well-known VIP's from all lines of work, and gathered together with them to light up their very big and festive Christmas tree. The location of this year's Christmas Tree Lighting Ceremony was in St.Regis’ hotel lobby, and about 200 people attended the ceremony. To share the Christmas cheer and goodwill, the night was also an extra-special charity fund-raiser to help children with disabilities at Sanya Bright Connection Center. During the ceremony, all guests were invited to try the delicious food and beverages offered by the hotel and were treated to performances by the children's choir from the Canadian International School of Sanya.